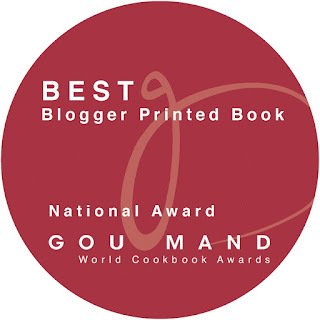 So, what was the first dish I cooked? I was very young. I can hardly remember the details. It was at the canteen in the Guinness Stout factory along Federal Highway (it is still there). My Mum ran the business at the three canteens there - Western, Chinese and Malay. Much of my primary school years were spent working and hanging around there. The Western one had an air conditioned room and caters mostly to expatriate management staff. The cook was a Hainanese man. My Mum called him Ah Chek and I called him uncle. He was real sweet. He knew I loved his food. And when there were leftovers, he would offer some to me. Mind you, "Western food" was a big thing then. It was seen as something which only the rich can afford. I can remember his plates of pork chops, crackling roast pork and chicken pies. I think that must be when I grew to like green peas as they were always offered as sides. Sometimes late in the afternoon when the air-cond room was deserted, I will slip in with a plate of his. With a heavy pair of fork and knife, I think those moments were truly special, a small child gripped by a sense of wonder of the joy a plate of food can bring. My Mum helmed the Chinese canteen, which was the busiest and largest. On days when I was not at school, I had to rise early (5 am!) to follow her to the Sungei Way market. Depending on what is fresh and cheap, my Mum will make decisions on the spot what she will be cooking for lunch. When we are back at the canteen, the preparation work will start in earnest. There were lots of chatter and gossip. The sound of vegetables being washed, the mortar being pounded, some stove fire roaring away and the chopping board drumming endlessly. I have no memories of the sound of blenders. It was all very hard "lok sau" (hands on) work. She will prepare the usual meat and veg lunch dishes like Char Siew, Tau Yew Bak, fried Kai Lan, Kembung fish and so on. As hundreds will be streaming in during the lunch hour, all the items are separately plated and priced. Some dishes are fried to order i.e fried rice and "mui farn" (rice with meat and veg gravy). 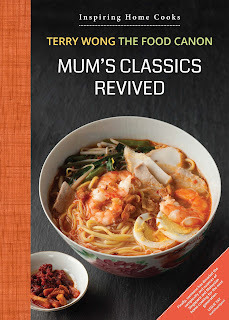 Occasionally she will make special noodles dishes like laksa, mee rebus and prawn mee. Many of the workers loved her noodles. So coming back to my first question, what was the first dish I cooked? My Mum will offer roast pork (Siu Bak) from the market in individual plates. Very often, there will be request for it to be stir-fried. And here was where I came in occasionally. I must be about 7 or 8 then. I can recall that the wok looked really huge. I was blessed with some height even at that age, and that helped. My mum had trained me to add some oil, garlic, sugar and dark sauce. In a huge hot wok, a small plate of Siu Bak turned out really nice cooked this way. I am sure that this was the first thing I ever learned to cook. 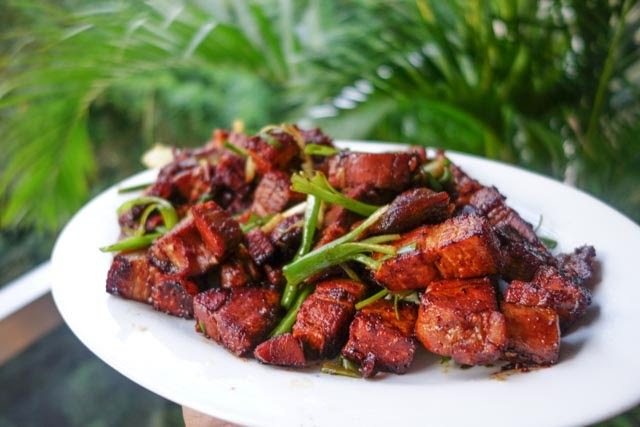 And judging by how often I had to do it, it must be a popular choice as a rather cold plate Siu Bak was caramelised, warmed up and sauced, to be eaten with rice. It was also good wok practice. If you have roast pork or steamed chicken leftovers, doing this definitely makes sense. 1. Heat up the wok using medium fire. 2. Add the oil and when it is hot, add the ginger and after a minute, add the garlic and roast pork. Stir-fry. 3. Add the sauces, sugar and continue to stir fry. 4. The pork must be crisping and you should see some burnt bits and oil oozing from the fats being fried. Dish out, garnish and serve immediately. This recipe has allowed me to write down a small piece of my family history. Now I am all grown up and perhaps I need to recapture a bit of the childlike sense of wonder: over a simple plate of pork chop, over a plate of fried Siu Bak. I need to pause to note and notice the many blessings in life. The bible talks very often about the need to be thankful. This is one reason why Christians say grace. It is not because a divine being needs to be thanked or appeased. It is us - less than grateful mortals - who need to recapture the sense of gratitude, appreciation and joy, everyday. We say grace before every meal for our own sake.